A quaint hill station that comes alive during the summer months and becomes livelier during the monsoon, the Nilgiris indeed one of the most beautiful hill stations in India. Popular amongst tourists from around the country, the cosy hill station offers its visitors with the best of views, indigenous species of flora and fauna, local delicacies, lovely weather conditions and acts as a haven for those seeking nature and natural ecosystems. Occupied by eucalyptus trees, the hill station lets you breathe pure air for as long as you are here and with zero use of plastics in the form of bags and products, the Nilgiris is as clean and pure as it gets. Looking for the best Nilgiris hotels? Read on to know more! The hill station witnesses an influx of tourists from the length and breadth of the country when the schools are closed after exams during summer. It is during this time that several events like the annual flower shows are organized by the tourism departments for the visitors. 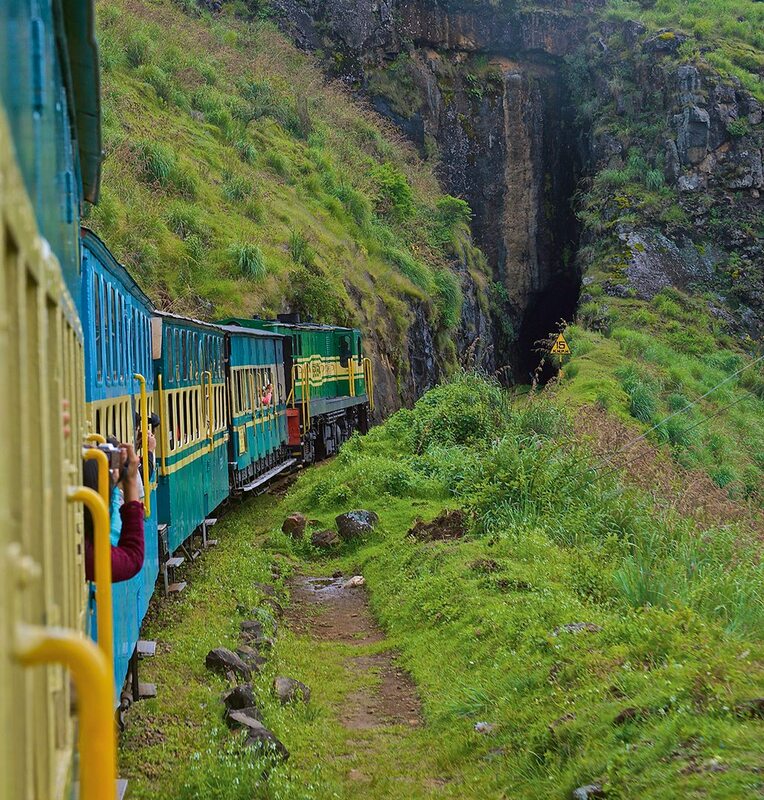 One of the other major crowd pullers is the Nilgiris train that takes visitors on a vintage locomotive through the diverse landscapes of the hill station and through short tunnels. Being a major attraction and of the must-do things, the Nilgiris train lets you explore nature simply by sitting on the train and appreciate the beautiful creation. With the summer approaching soon if you are planning to visit the Nilgiris, here are some of the best Nilgiris hotels you can consider for your stay. Be it a honeymoon, a family vacation or a short weekend getaway, these hotels and the destination will give you enough memories to cherish for the entire year. Treebo is one of the fastest growing hotel chains in India and its presence in the Nilgiris truly adds convenience for innumerable visitors. Located on the Snowdon road, the property offers great views of the Western Ghats and allows you to catch a glimpse of the rising sun from your room. The rooms give you a heritage feeling with wood finished interiors, floors and paintings that add to the aesthetic appeal of the property. Every room has an LED television, wireless internet connectivity, complimentary beverages, uninterrupted power supply, and more. One of the major advantages of this place among many other Nilgiris hotels is that it accepts card payment so you don’t have to go in pursuit of ATMs in Ooty. There are also guest laundry services and cab services for added convenience. The hotel follows a 12PM check-in and checkout policy and has rules on early check in as well. It is located close to the popular places of interest and the Ooty bus stand is less than 3km from the hotel. This is an ideal place for families and honeymoon couples to stay at because of the hotel’s location and quality of service. 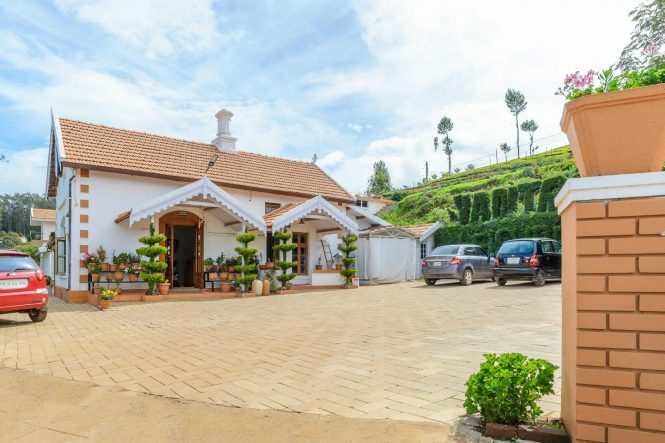 Vinayagga Inn is the perfect place for you to find an accommodation if you are a solo traveller or looking to book Nilgiris hotels for a group of friends. Located on Garden road, the hotel is actually on the market or the happening area of the region. It is very close to the botanical gardens, which is one of the major tourist attractions in Ooty. The hotel has a reputation for maintaining hygienic and clean rooms, making it good for families as well. The staff here knows what they are doing and are very hospitable. The property also has an in-house restaurant so you can get your food delivered to your rooms. In fact, it is one of the best finds for budget travellers as the experience the staff try to give you is more than what you pay for at the hotel. The rooms have all the basic amenities and facilities you look for in rooms like televisions, wardrobes, running hot water, clean restrooms, bath towel and more. From standard family rooms to suites, you can choose a room that meets your needs and enjoy your stay here. The hotel also has an attached bar. Besides, the hotel offers features and services like free car parking, laundry, self-serve laundry, room service and more making it an ideal budget choice among the many different Nilgiris hotels. The hotel offers you a great value for money, ensuring a pleasant and comfortable stay. 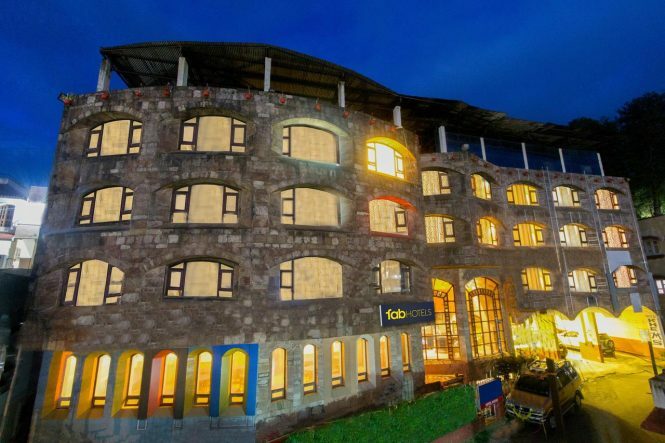 One of the most visually striking hotels in the Nilgiris is the FabHotel Khems located on the Shoram Palace road. It is also one of the most economical hotels that will allow you to spend less on accommodation and more on experiences. It is very close to the market and you can reach the renowned tourist attraction – the rose garden –on foot. Being close to the market area, you can see the bustling streets and avenues busy with locals and tourists in the evenings. The hotel has an amazing dining option and also offers you room service. The views of the tea estates outside from your room are probably the best thing about the hotel. The property offers you a complimentary wireless internet connectivity, breakfast, paid laundry services, car parking, and more. The rooms are clean with pleasant and well-maintained rooms. As much as the hotel looks grand from the outside, the interiors and the rooms are equally maintained as well. You can also get assistance from the friendly staff over there on the other places to visit in the Nilgiris and the activities you can indulge in for an enthralling holiday. Location: Shoram Palace Road, Off Ettines Road, Ooty 643001, India The maintenance of the rooms and the central location of the hotel are the two main reasons you can book your stay here. Also Read: Looking To Stay In A Tree House In Kerala? 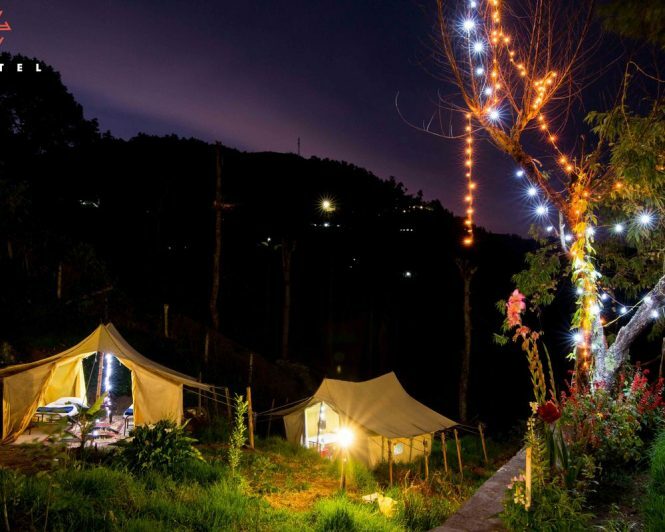 One of the most popular chains of hotels in the country for accommodations at hill stations, the Sterling Ooty Fern Hill is all about a sophisticated holiday on the queen of hills. As soon as you enter, the grand and the classy porch will give you an idea of how your stay is going to be like at the hotel. The well-illuminated rooms, lobby, and the friendly staff who light up your day are all enough for you to have a great vacation. You are treated to a welcome drink the very instance you set foot on the hotel and this hospitality sustains till you leave the property and afterwards as well. The in-house restaurant has a breakfast spread for a sumptuous start to your day and there are room service options too. All the rooms are equipped with the luxurious facilities and amenities and you can choose from non-smoking rooms as well. No matter if you are going with your family, alone or with your spouse, all your holiday needs and requirements will be conveniently taken care of by the staff over there. Located away from the sights and sounds of the city, the hotel is situated on a fern hill and offers you the much-needed dose of tranquillity. There is also a well-stocked bar for you to have a sip of your favourite drink looking at the setting sun behind the mountains. A well-maintained property, it’s the way guests are treated that makes this hotel more special. 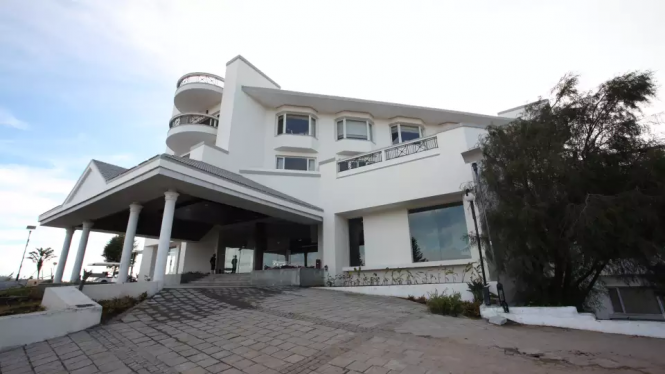 It is a resort in the price of luxury Nilgiris hotels. Go for it! In India, one of the best revolutions to have happened in the travel sector is the onset of backpacker hostels. From the remote villages of Spiti Valley to the happening beaches of Goa, if there is one name of hostel that is famous more amongst foreigners than local travellers, it has to be Zostel. Blending hostels and the café culture together, zostels are not just a place to find an accommodation but to find a piece of yourself. The people who come there are those in pursuit of something, who have thousands of stories to tell, who have broken away from the conventions and are hippy of sorts in their own ways. Zostel is a way to meet new people, interact with them, make travel plans together and uniting as one big family. Apart from being a revolutionary concept, the property in Ooty offers you the best of accommodation as well. You can choose from dorm beds, outdoor tents and private rooms and enjoy your vacation. From an in-house café, hangout area, wireless internet services, pickup facilities and paid laundry services to safety locker features, Zostel takes care of everything. You can see quirky pieces of art – some purchased and some drawn by guests – all through the property and feel the vibe of being alive and kicking. Throughout the day, you can hear laughter and conversations in the hotel, reminding you that night is still young. Regardless of whether you intend to cuddle up with your book inside the tent or go make new friends and travel together, you will always find a reason to love this hostel. And did we mention that they are pet-friendly as well? A concept that is catching up in our country definitely needs encouragement and support. Go there and you will know why! Ooty or commonly known as the Nilgiris is located at a point where the Western and Eastern Ghats meet. The place is best accessible from Coimbatore, which is located very close to Mettupalayam – the foothills of the Nilgiris. Coimbatore is the closest airport at approximately around 100km from Ooty and you can reach the Coimbatore Airport (CJB) from several major Indian cities like New Delhi, Bengaluru, Kochi, Chennai, Kolkata, and more. From Coimbatore, you can either hire a cab or a taxi and reach Ooty within 2 hours or take a government bus and reach by 3 hours. It depends on travel experience needs and budget. Or, if you want to take the Ooty train, you have to book in advance and reach Mettupalayam from where the service commences. You can also Ooty from Mysore within approximately 4 hours. If you are leaving from Chennai, you can find direct buses to Ooty and Coimbatore. There are multiple trains available to Coimbatore, which is also the closest railway station. What are the Places of Interest in Ooty? Once in Ooty, you can visit places like the Dolphin Nose, botanical garden, rose garden, Sims Park, Doddabetta (which is the highest peak in the Nilgiris and more. If you manage to wake up early in the morning, you can also go for nature walks and get to see some of the most indigenous species of animals and birds up close and personal. You can spot deer, bison, the Malabar giant squirrel, red-vented bulbul and more. Having binoculars with you is helpful. Pykara lake is another major tourist attraction. What Languages are Spoken in Ooty? Tamil is the primary language spoken in Ooty though you can converse in English and in Hindi. The influx of tourists from around the country has familiarized people with different languages and they can now speak multiple languages with ease. Which is the Best Time to visit Ooty? Summer is probably the best time to visit Ooty. It is during this time that the crowd is the most and the place is completely alive. If you intend to have a more relaxed or laidback holiday, we suggest you visit during the monsoon. The place receives scarce rainfall because of the obstruction of the rain-bearing clouds by the mountains. So these were our recommendations on the Nilgiris hotels. We believe this list would help you make a lot of decisions on your stay and accommodation and also introduce you to the concept of backpacker hostels. Have a great vacation at the Nilgiris!